The code means that there is a problem with the heater element circuit of the heated oxygen sensor. Water getting inside the heated oxygen sensor connector can caused the heated oxygen sensor fuse to blow, which is a very common problem for this type codes. 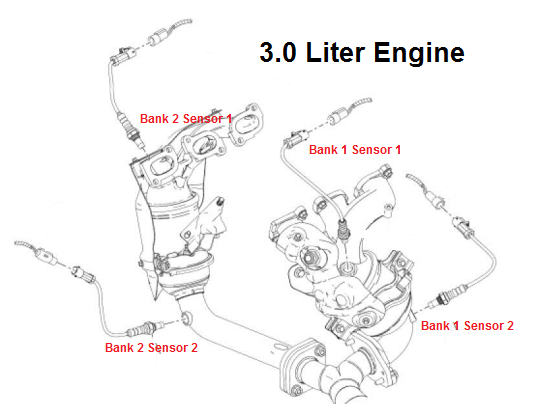 Before replacing the sensor, check for the condition of the heated oxygen sensor fuse and connectors. The powertrain control module (PCM) monitors the heater in the heated oxygen sensor (HO2S) for correct operation. The PCM controls the heater on/off duty cycle to maintain a temperature of 780°C (1,436°F). The test fails when the sensor does not warm up to the required temperature in a calibrated amount of time. The test also fails when the PCM is not able to maintain the required temperature after the sensor is warm.